On the hunt for cheap used cars near Memphis? Our Under $10k at Collierville Chrysler Dodge Jeep Ram has exactly what you’re looking for! These used vehicles have been inspected for quality and stamped with an attractive sticker price. Browse our inventory below and contact us with any questions you have! This 2012 Nissan Altima 2.5 S in Winter Frost Pearl features: 2.5L 4-Cylinder SMPI DOHC FWD Recent Arrival, Local Trade, Altima 2.5 S, 2D Coupe, 2.5L 4-Cylinder SMPI DOHC, CVT with Xtronic, Winter Frost Pearl, charcoal Cloth. 23/32 City/Highway MPG Odometer is 10488 miles below market average! Did we mention that we don't sell cars "AS IS"? This vehicle, although out of warranty from the manufacturer, carries our own 3 month/3000 mile limited warranty which costs you nothing and guarantees your satisfaction. Yes, Collierville CAN! For all our used cars at all our locations, go to https://www.colliervillechryslerdodgejeepram.com or give us a call at (901)854-5337. 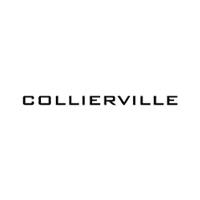 Find Your Next Car at Collierville Chrysler Dodge Jeep Ram! When you’re ready to buy, get a step ahead of the game and apply for financing online. For all your Chrysler, Dodge, Jeep, Ram sales and service needs, turn to Collierville Chrysler Dodge Jeep Ram!